So many years ago, I started a “game.” Everything was explained in relative football phrases. Whether you are a Bear’s fan or Packer’s fan, it made no difference. I was a Brett Favre fan. More importantly, I was a Deanna Favre fan. She had just experienced nearly the same journey as I was about to embark. She wrote a book and used catchy football terms to update her progress. It was very effective. I adopted this approach, as well. Back then, I thought it was THE game of my life. I only wish that were the case. My son played freshman high school football this year. He loved being on that team and watching a game any chance he could get (yeah- baseball, too).Ten years ago, he was a sweet, innocent little Kindergartner. This would not have made much sense to him then. All the references, but they mean so much more now. More than football or a five-year old’s perspective of mommy being sick. They are my FIRST and TEN. It houses headings like “Game On, Touchdowns, Penalties, Quarter Standings and Injury Reports” to the more significant titles of “The Rookie” and “The Real Game.” Because as I was battling cancer, our daughter began her battle against Batten disease. With symptoms and worsening conditions for 15 months, we had no answers- until one day. On April 20th, 2009 we finally gave her debilitating, degenerative condition a name and expiration date. She was only expected to live 12 years long. And that’s exactly what happened. This brings us to our FIRST. February 15th, 2017 was when our 12-year-old girl, who had been strong enough to get through 5 cases of pneumonia, failed to get through her last. Her tired, weakened body could no longer put up the fight against Batten disease. Bridget sailed away from this Earth into Jesus’ loving arms on this day. When the sunlight touched her hospital bed that morning, it was the first of many signs that she was ready to go Home. Nothing will compare to the brilliant sunset that same evening when the gates to God’s Kingdom opened for such a sweet, innocent soul. Bridget painted the colors of the sky that night like we had never seen before. During the past year, she gave us more pink skies along the way. 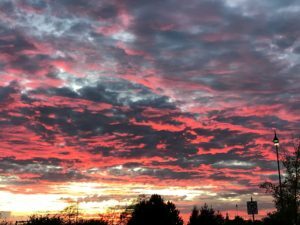 From the west coast, to the east, we were sent several glorious pictures of pink skies. 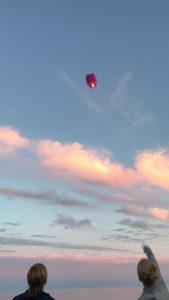 There are a couple that really stand out: sun setting on our final night in Maine with our dear friends as we lit and sent out to sea a wish lantern- just for Bridget. In the midst of the pink sunset and path was the Hope 4 Bridget symbol. How incredible were those signs she sent us straight from heaven? There were also images from a trip to Canada that my dad and brother-in-law sent. The expanse of the sky,,, bewildering! On another evening, I remember coming back to the burbs after going to the last home Cubs game. I got out of the car and BAM! There she was- in all her pink glory strewn across the sky. Hello sweet angel. We see you. I look for these signs and sometimes I don’t. They are just here. Why aren’t there more? I wish I could conjure up the feeling of kissing her sweet, soft cheek or warming her cold slender hands in mine. I miss brushing her beautiful thick hair and smelling lavender lotion on her neck. Her gorgeous painted nails and sweet, occasional smile are lost. I miss the people she brought into our lives and all the equipment we had in place to care for her. I miss having a daughter more than I could ever say or write- so much that it physically hurts to breathe. I know this is grief. So often compared to the ocean; I’ve been wading in it for a year. Sometimes the waves crash over you with no end in sight as you gasp for breath. Other times you tread water for hours while your limbs go numb. For ONE entire year. It feels like a lifetime or ten years or just one day. Time is ridiculously evil and conniving. I wonder where all this time went and how it got by me? Realizing the wonderful place where she resides, I know she is whole, complete and healthy. I know she is smiling and seeing and running. These are comforting thoughts and they do fill me with such happiness. Most of everyday, I do choose joy and try to live with grace. But, I am just a human, a mom, who misses my child. And that is ok. The FIRST anniversary is treacherous, living through all the details of the final days and hours. It’s unimaginable- knowing she has been gone from us way too long. But amazing in the fact that we see our son growing into a young man this past year. He is just about finished with his first year of high school. He fills our hearts with pride and we love him so very much. I look at him in amazement- not just because his demeanor is a mystery and bedroom floor a nightmare, but because he is becoming a charismatic, caring young adult right before our eyes. The TEN years ago I think about escapes me. How was that so long ago? And how has so much happened in the past decade? I have endured and quite literally survived the FIRST and TEN. There were many tears, scars, and hospital visits. There were time outs, delays of game, and lost yardage. But, there is still life and the living. There have been touchdowns with some field goals, despite the losses and record. There are memories and so many special people. But above all, there is love and lots and lots of hope. There once was a girl born into this world, who surprised everyone greatly. She decided to come early because she could no longer wait. When she was presented to her parents, they laughed and cried over this baby girl, for it gave them great joy to have something so precious. She was a bundle of pink with sweetheart lips and golden hair. They named her Bridget Rose and her story began. Bridget fussed and cried and mystified her older brother, Harrison, like any other new baby. Eventually, she began to scoot around interested in all the things around her. Harrison’s toys were of great delight; dinosaurs, trains, books and more. Her favorites though, were anything that produced music. This delighted Bridget- every time she heard a tune, her face lit up and she shimmied. When she finally learned to walk, she would dance or run. Because now, she discovered her special talents, especially speed. Anywhere Bridget went with her family, she did not sit still. She ran with gusto, or climbed or slid. Her energy was boundless and exhausting to her mom and dad. Yet, she was happy! She learned about the beautiful colors of orange and pink as a Dunkin Donuts box entered the house, she raced down the hall, clambered into her chair, clapped her hands, singing, “Do-dos! Do-dos!” When she showed you affection, she wrapped her arms around your neck so tightly, the air would leave your lungs, then she’d take your cheeks in her two pudgy hands, giving you a wet, sloppy kiss. When Dora or Elmo came on the TV, Bridget danced like a little pony in her signature trot. She helped herself to countless apples in the refrigerator, eating them to the core and throwing the remains in the toy box, only to discover them at a later date. Bridget loved life and she lived it fully. It was only when the horrible reality of Batten disease came to her and took over, she could no longer do all of those physical things. Instead, she began to use her gifts in an entirely different way. Her beautiful blue eyes would express her feelings while reaching out to those around her. The tilt of her head, the occasional, remarkable smile enlightened anyone who had a glimpse. She spread her message of HOPE and courage. She reached out to others, touching their hearts and souls without ever saying a word. They too, would feel her sincerity. And as they did, her magic spread to hundreds, even thousands. Those that provided care or therapy for her, especially, please stand up so we can honor you. 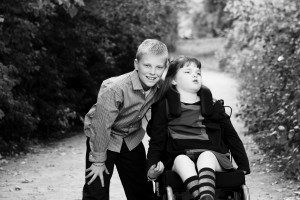 You are Bridget’s team, her army of caregivers, nurses, therapists, babysitters, teachers……. You gave her your energy, time and love that made this part of her life truly incredible. Thank you, thank you, thank you. And now, Bridget’s story gave us her final surprise- the transformation into eternal life. The end of her physical being, but just the beginning with Christ, Our Lord. 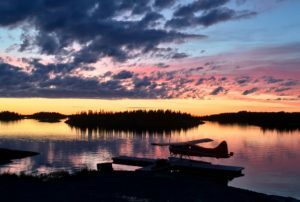 Her charismatic, endearing spirit sprouted wings to take her on her lifelong journey- to fly with angels in a sky painted pink, purple and orange. To be free of suffering and bask in the glory of wholeness and health. 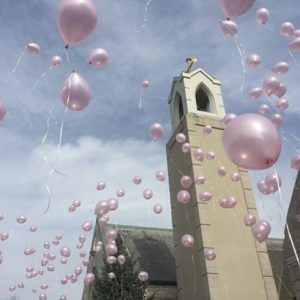 We will grieve and miss our Bridget Rose, but her story is endless. It is FOREVER AFTER and she is home. It was a year that seemed to go on forever. So many surreal, unbelievable moments… the world facing terrorist assaults, race issues, political issues, and just people issues. Negativity wherever you looked. Conflict, inequality, anger… It was rather difficult to put on the news each day- NO matter which side or viewpoint you had. It really made me sick, but to tell you the truth- it really doesn’t matter. It’s what happens to you in your own small, little world and day to day life that fuels or frightens you. Our world is small. Our Batten life is moment to moment. Bridget, making it through 3 rounds of pneumonia (January, October & December), where time stands still, was remarkable. Bridget turning 12 years old, despite what the finality of that number means, is incredible. The loss of 3 special souls- 2 Dads of close friends and the sweet son of Jen & Tracy, was devastating. The numbers and moments make time cease to exist. It seems to pause and not care to go on. Maybe it’s good that way, more opportunity to live in the moment. To enjoy and relish the good there is around us. Sometimes it’s not desirable and we want time to go quickly, to get out of a hardship. We welcome each of the days because it’s going to get better, we hope. Either way- we don’t really have a choice to slow time or accelerate it. It just is. So, we choose to make the MOST of our time in our little world. We went on a family vacation to Kiawah Island, SC. Bridget went on a boat ride to find dolphins, a horse and buggy ride to experience Charlotte and a stroller ride to feel the ocean air in her face. She was a trooper on our road trip and finished 4th grade on a high. Summer was amazing with baseball games, 4th of July parties and the summer party to end all parties, A Mid-Summer Night’s Dream hosted by our lovely friends, the Tepas’. Such an outpouring of love and support for our family, especially our girl. Flowers, fairies, butterflies and a candle lit HOPE. It was all around. The final year of grade school began in August and Bridget was ready. She has an amazing team at Countryside School. We’re fortunate for each and every person caring for our daughter. There are many. Despite a week away in the hospital, she remained in touch with friends and staff with her iPad that had photos and video collections. 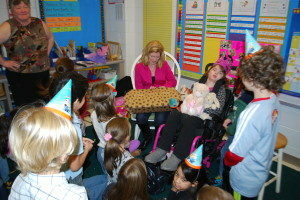 The hearts of these students are larger than life and we witnessed it again during her birthday celebration. 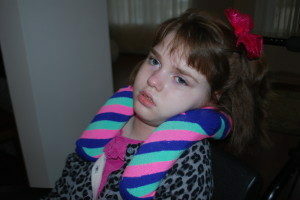 Bridget is extremely blessed with their caring attitudes and love. Having our annual fundraiser, A Fifth Season~ A Night in Napa was another magical moment for Bridget and our family. We raised even more money than the previous years to help provide necessary funds to those who are working in our tiny little world of CLN2. We sang, cheered (the Cubs) and witnessed an artist do amazing things. Yet, our hearts were heavy with the absence of our sweet boys, Ethan and Noah. They were Bridget’s true companions in life- the same age and the same childhood. Thinking of them makes it difficult to breathe. I hold the sorrow in my heart that I know their parents feel. How do they and so many others who have lost children wake up to each new day and face the loss again? How can they relive that moment day after day? When Christmas came, it was with mixed emotions we set the plans in motion. Bridget was very sick and needed to stay home. Our family understood, coming to see us when they could. Every time we had company, it was a joyful experience. Excellent food, delicious wine and loving family & friends was how we made it through each moment confined at home. I relished it because it was a break from work and from real life. We had the chance to spend so MANY wonderful moments with our girl. I treasure the time I have with my daughter, wishing I could pause it a little longer. But, alas, the days must keep coming. I will embrace the little world I live in because it has her. Posted by Sara Kennicott on 9.22.2012 – There are no comments for this post, be the first to join in! Not surprisingly, I have neglected formal updates on Bridget. Sometimes I may do a shout out on face book or even a personal email to family and a couple friends. But, it certainly is long overdue to hear about Bridget. B…..it’s one of our favorite letters in the alphabet. Bridget, Bridgey, Little Miss B, Sweet B…take your pick. It’s all about the girl behind the letter. Bridget celebrated her 9th birthday in style this past November. Although there was no formal invite or party planned, it was of little consequence. 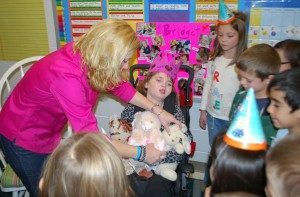 Bridget was pleasantly surprised by her second grade friends and Mrs. Floyd, her classroom teacher. They threw her a party like none other. It was complete with party hats (hers was a crown, of course), singing, storytelling, poster sharing, gift giving, hugging and inevitably a bit of crying (you know me). I was so pleased I took this special day off of work to share the happiness that these children provided. It makes me so proud of and grateful for the children Bridget have in her life. What an amazing experience as a mother, especially to one who has such a special little girl. And thank goodness I took this 11th day off in November. 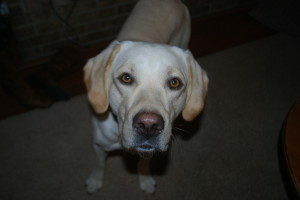 We proceeded that afternoon to Bridgey’s orthopedic appointment to check on her back, hip and oddly swollen knee. After our 2 hours of x-rays and waiting, it appears that Bridget broke her tibia- just below the knee. WHO KNEW?!! She was experiencing pain, but we thought it was because of her hip condition- it is sub-lexed, or about halfway dislocated. She also has increased scoliosis- all of these issues are due to her neurological disorder. It’s just astounding what Batten disease can do without even trying. Other parents call it the Batten monster, and I would whole heartedly agree. Some say, “the B Monster has reared its ugly head again.” Fortunately, Little B’s leg healed quickly with just a mesh/Velcro brace at night and her hip is not causing her any discomfort. We did, however, need to get her fitted for a TLSO (chest) brace to wear when she is sitting upright. I realize it helps, but it’s obtrusive and emotionally daunting. Be gone ugly monster. That same week rounded out with the culmination of A Fifth Season, a Benefit for Batten disease. It is the annual event for our group of families who have children affected with Late Infantile in the Chicago land area. Previously, it has taken place in the spring, but we moved the event to November. Although I was skeptical, it proved to be a very worthwhile decision. We had our best AFS yet- raising almost $80,000 for Batten disease. AMAZING!!! We will continue to fund Dr. Pahan at Rush University and contribute to the Dem Child project- a worldwide registry of children affected by Batten disease. Attendance was astounding, auction items dazzling and heartfelt generosity was off the charts- in the atmosphere, if you will. The theme was focused around “Wish Upon a Star” and concluded with live bidding of a star registry in each of our affected children’s name. Just think- when you look up on a clear night, you could be looking right at our Sweet B’s star shining right back at you. And that, my friends, is the end of this ballad. Stay tuned for more tunes….and always keep hope in your hearts- for Bridget and all the other children facing rare disease. Whether their name begins or ends with B, pray for them and love them. Simply put, ‘B’elieve. Posted by Sara Kennicott on 1.28.2014 – There is one comment for this post, join in!